It has been 2 years since I join The Butterfly Project and last Saturday was a special one. 30 beauty bloggers gathered to celebrate it's 3rd Birthday together! The Butterfly Project was there when I first revive my second blog and it has given me so many new friends and experiences I never dare to dream of. If it weren't for Tammy and The Butterfly Project Team, I wouldn't be here as I am. This 3rd Birthday party just showed how far have we all come together and definitely means wiser as we grow as bloggers. The last time I actually met all of them was during last year's Christmas Eve, so it feels almost like meeting with long lost friends. 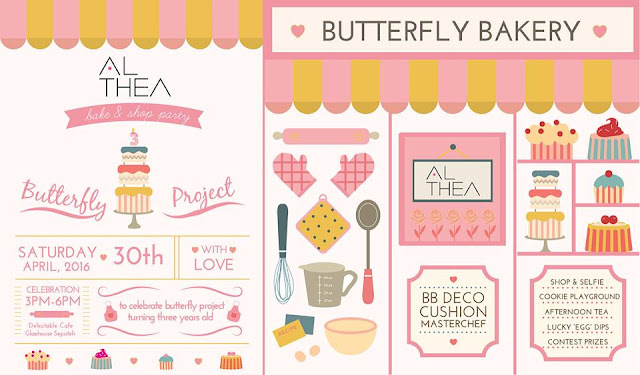 Althea Korea decided to join in this year and gave us wonderful surprises! When I arrived at the Delectable by Su (Glasshouse Seputeh), I am overwhelmed by all the pastel colors and cuteness everywhere. We were all dressed up in pastel, so everyone looked like they came out from a fairy tale storybook (with lots of cotton candies and flying unicorns just joking). Each of us were given a box of *kawaii survival kit* which contains a set of mini apron, Decoden kit and a Laneige White Plus Renew Trial Kit! *uwauwa~* Gonna review that one soon! Our handsome emcee, Dee Leonard with The Butterfly Project's founder, Tammy on his right. BB Cushions of Maple, Sharon and I. Then, there was the shopping spree exclusively sponsored by none other than Althea Korea! 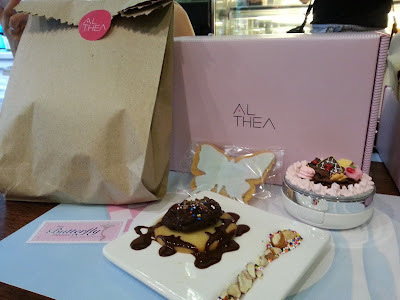 I mean, all of us got to spend RM150 on the Althea website (How wonderful is that!) BUT with a time limit, which is before the event ends. It really feels like a Cinderella story, rushing before the bell strikes at 12 midnight. This adorable Bunny in the Garden is actually edible! Like seriously! The party ended with a prize giving ceremony to the best 20 BB cushion and Instalgram selfies. All the beautifully crafted BB Cushion! 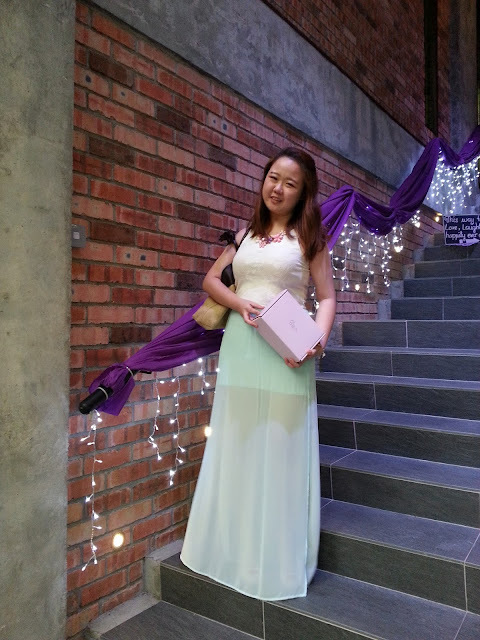 Although I didn't win anything, I am glad to be able to meet all my blogger buddies and have a fun time together. It is such a pleasurable moment to finally be able to meet with the fun people behind Althea, who has never failed to lure me with their too-good-to-not-buy beauty products. To end this blog post, here are some pictures of the event. The founder of Althea Korea. Beauty Blogger Rika Jue with her lovely art. here is their Malaysia Facebook page and Website. Currently they have reached out to Singapore and Philippines. Next would be Indonesia, so look out! Thank you for the awesome time! Looking so pretty in this outfit! Hope we can have a catch up soon again =D Missing the moment till now!